Mumbai city for many years only had black yellow cabs (Kali Peeli taxi) in the category of public four wheelers. Meru was first Radio Cab service in Mumbai launched in April,2007. 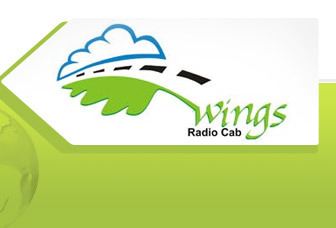 Radio Cab services offer air-conditioned comfortable journey from one point of Mumbai city to another point. Radio Cabs in Mumbai can be booked by calling their land line number or many have started offering cab booking through Mobile Apps. Oldest Cab rental service in Mumbai. You get Receipt by e-ail. Tracking SMS Sent on mobile. Rs. 27.00 for First KM. Rs. 20.00 for each subsequent KM. Rs. 33.75 for First KM. Rs. 25 for each subsequent KM. Rs. 27.00 for First KM. Rs. 25.00 for each subsequent KM. UBER is licensed only as tech company & not as Car Rental company. Rs. 10.00 for each KM. Rs. 17.00 for each KM. Rs. 8.00 for each KM. Rs. 18.00 for each KM. Rs. 21.00 for each KM. Rs. 15.00 for each KM. Rs. 200.00 for first 5 km. Rs. 150.00 first 6 km. Rs. 185.00 first 6 km. Rs. 22.00 for each KM. Rs. 21.00 for each additional km. Rs. 28.00 for each additional km. Rs. 250 for First 10 KM. Rs. 21.00 for each subsequent KM. Waiting charges are Rs. 100/hour Rs. 350 for First 10 KM. Rs. 22.00 for First KM. Rs. 15.00 for each subsequent KM. Rs. 27.50 for First KM. Rs. 18.75 for each subsequent KM. Rs. 11.00 for each subsequent KM. RS.50.00 FOR THE FIRST KM. Have you used any Cab service in Mumbai / Pune ? Dear Team We would like to register on your site as cab service provider. We provide cab services in 97+ cities across India. Let us know the procedure to take this forward. Booked cab with Uber from churchgate to bovivali on 16 Jan 17 10 pm. Estimated fare shown 579 but actually charged Rs. 800.